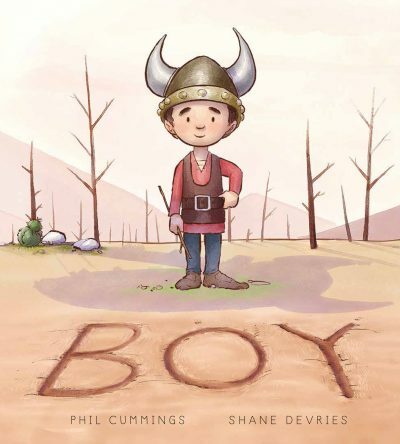 Phil Cummings and Shane Devries’ picture book Boy (Scholastic) has won the Australian Psychological Society’s (APS) 2017 Children’s Peace Literature Award. Boy, which tells the story of a young deaf boy who brings peace to his village by getting adults to think about conflict in a different way, was described by the judges as a ‘delightful and powerful picture book’. It was chosen from a shortlist of three that included Blue Sky, Yellow Kite (Janet A Holmes, illus by Jonathan Bentley, Little Hare) and Wombat Warriors (Samantha Wheeler, UQP). The prize is awarded biennially by the APS interest group Psychologists for Peace and comes with a $3000 cash prize. The award ‘aims to recognises authors who promote peaceful resolution of conflict in their books, and to encourage and publicise these books so that children have peaceful models on which to base their own behaviour’.